2016 IANDS Conference - Save the Date! Featuring Anita Moorjani, Suzanne Giesemann, Maggie Callanan, Laurin Bellg and many more! Near-death experiences (NDEs) and near-death-like experiences often result in a greater sense of well-being and purpose in life. But the journey of integrating the experience is often fraught with challenges as well. 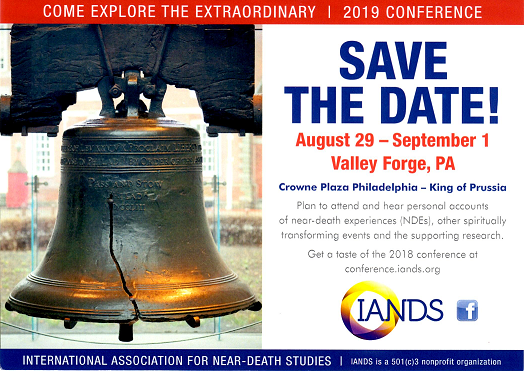 NDErs themselves, the professionals who care for them and their families, and NDE educators and researchers, all have a role in helping NDErs stay on the path to healing and wholeness—and in helping humanity to use knowledge of NDEs to pursue this path. We invite you to join us as we explore this path together! General Session (Friday through Sunday).